25kgs net Kraft Paper bag or 500kgs/1000kgs in bulk bags. EVA-Hot Melt Adhesive, PSA, Solvent Adhesives, Coatings, Rubber Compounds. 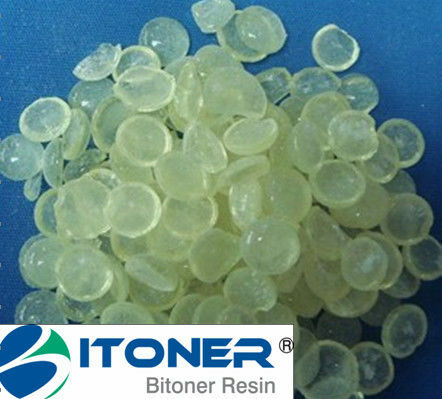 Bitoner TR-100 can be used as substitute for rosin ester in EVA-HMA as tackifier so as to reduce cost. Possessing the good characters of C5 and C9 hydrocarbon resin, it is characterized by its wide compatibility with EVA, SIS, SBS and other polymers, low cloud point and good heat stability. 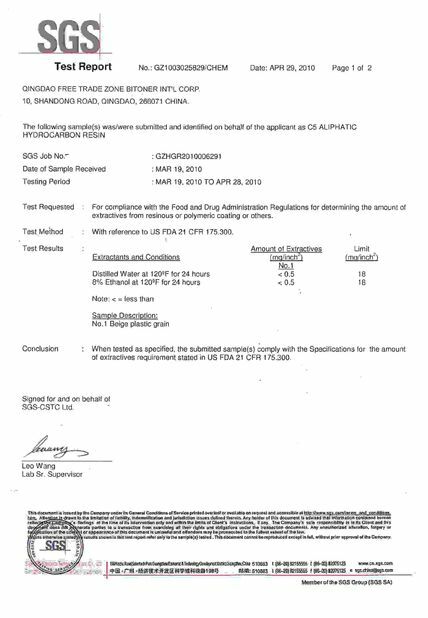 It is widely used in Hot melt adhesives, PSA and shoe adhesives. It is also used as processing and reinforcing agent in tyre and rubber compounds. Store containers securaly sealed and protected against damage. 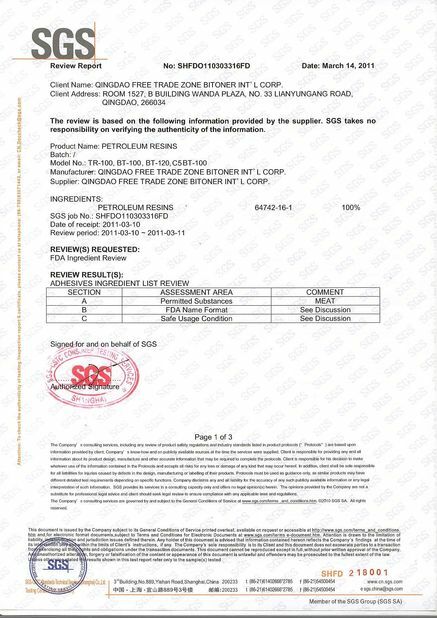 Qingdao Bater Chemical Co., Ltd.